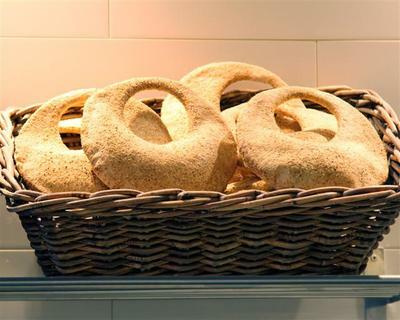 The smell of freshly-baked bread wafts onto the street from Manakish Levantine Bakery Cafe. Once you're inside, resistance is useless. 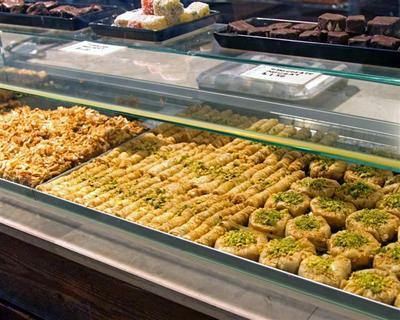 Arrayed in a long glass cabinet are some of tastiest Middle Eastern morsels you'll ever eat. 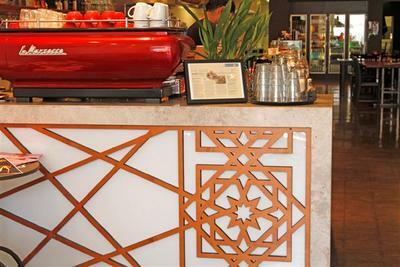 Taking its name from the little pizzas found on the streets of Beirut, in this elegant, low-lit cafe ,you'll find toppings like halloumi cheese, spiced lamb or za'atar, the piquant herb/sesame/sumac mixture used in much Arab cuisine. These make a splendid breakfast but there's also baked, tomatoey eggs or kaake, sesame-encrusted street breads known as 'lady's handbags'. At lunchtime, choose from dips or various pulse dishes. The delicious Foul Fava has broad beans swimming in lemon, garlic and olive oil or there's hummus or generous salads. Meat eaters love the chicken or lamb shawarmas, served with salad and pita bread. Moroccan lamb, chicken or fish tagines come with baked vegetables and rice. One of Melbourne's best-value meals, the felafel plate includes four baseball-sized felafels made from broad beans and chick peas, jostling for space with a dish of creamy tahini sauce, snappy mesclun salad, pickled turnip and cucumber and your choice of white or wholemeal pita bread. Finish off with a chocolate-coated Turkish delight, a piece of baklava (filo pastry with nuts and syrup) or the gorgeous Rose of Damascus, a curd cheese-filled, honey-soaked pastry served with pistachios and sliced strawberries. The house-made lemonade is refreshing and not too sweet, and the coffee here is good. Service is outstanding, as befits a place co-run by the team behind 32-year dining institution, Almazett. Manakish opens for dinner Thursday to Saturday and bookings can be made online. The night time menu includes grilled prawns, pomegranate-dressed zucchini frittata and three kinds of couscous. 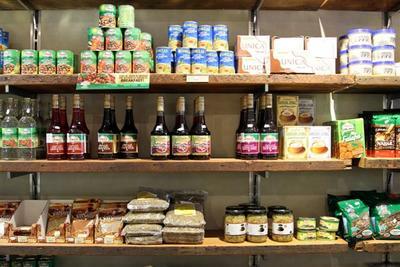 A selection of Middle Eastern groceries is on offer at the rear of the cafe. Why? Because Middle Eastern food is fresh, healthy and good for you. When: Breakfast, lunch 7 days a week. Dinner Thursday to Saturday. Cost: Snacks from $3.80, grills from $15.90, tagines $19.90. Dinner entree/mains $10/27.